Although mobile apps have existed for only a decade, their popularity is growing at the lightning speed. Every year, the number of downloaded apps increases by 11 %, which means high consumer demand. Today, almost every company in almost every industry has a mobile app, and those who do not have it, are at least working on the mobile app development strategy. If your brand still does not have a mobile app yet, then this article is for you. We will take a look at the key factors that you should consider when choosing a mobile development partner for your project. But first, let’s see which app development trends will be popular in 2019. Trend # 1. Native apps. A native app is an app that was built for a specific platform only and has components that are unique for this platform. It means that if you need two apps both for Android and iOS, they should be built separately, not as a single hybrid app, which was a trend until recently. Trend # 2. Augmented reality. The augmented reality (AR) domain is growing at a steady pace and is becoming a trend for mobile user experience, e.g. marketing messages. Trend # 3. Personalized marketing. 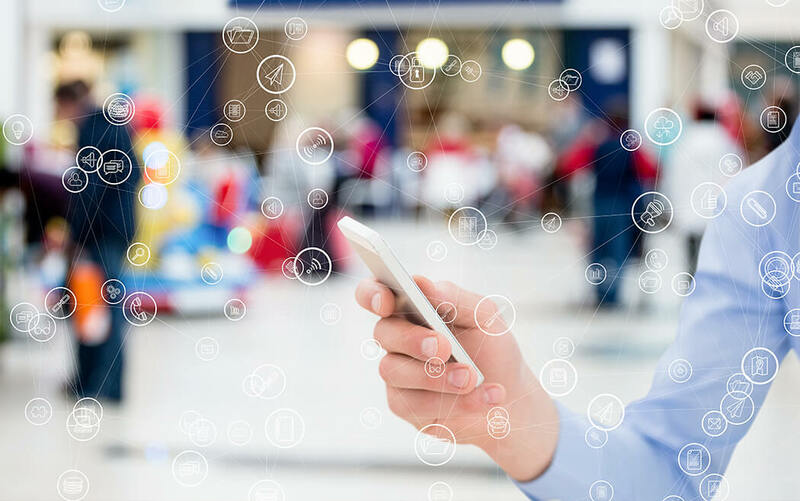 It will be possible for brands to target their customers personally via mobile apps – for example, in the form of push notifications with special offers sent when a customer is in the store. Factor # 1. Requirements. Your potential development partner will not understand your project requirements unless you understand them. It is important that you give the mobile app development companies as much detail as possible regarding your business, your vision, and a design mockup of the future app. You will also need to know what technical skills are required for the project. For example, if you need a native iOS app, then you should look only for iOS developers, not React Native developers, because today’s trends are moving back from hybrid apps to native apps. Factor # 2. Cost efficiency. Be aware of various conditions that influence the total cost of the development services. One of such conditions is the location of your team. In the US, the app development will cost you between $25,000 and $500,000 in total, depending on the size of the chosen company, competency of the developers, and complexity of the app. However, if you hire an offshore development team, then the costs will be lower, so you can choose the offshore destination with the best price / quality ratio, such as Eastern Europe. Factor # 3. Reputation. Of course the company that you choose should have good reputation and a proven track record. The best way to check the reputation is to reach out for the company portfolio and download a couple of apps that they have already built, just to see how they work. Another way is to read the customer reviews on websites such as Clutch. You can even contact the company’s previous clients personally and talk with them about their experience with this particular vendor. Stay away from vendors with empty portfolios and websites that look generic. So if you are going to build an app for your brand, first consider the mobile app development trends and then prepare a list of requirements to discuss with your potential vendor. We hope that our tips will help you find the best company to suit your project needs. Good luck!